Each month we highlight the top 10 women disrupting global markets. With the spotlight list we crowdsource a public vote on most highest influencer on the list to hear their full story featured in our hall of fame series. We are pleased to announce that Fabiola Coupet is the winner popular vote within the global Haitian Community. We connected with our Hall of Fame candidate to hear what motivates her. Hear her amazing story and advice below. My greatest achievement is definitely living life on my own terms, by my own truth. I think that if you ask anyone who’s spent a little bit of time with me, or even my listeners at this point, the general consensus would be that I march to the beat of my own drum. I see that as an amazing achievement because I realize that far too many people shy away from doing just that. Maybe it’s because they are caught up in societal definitions and expectations of who and where they ought to be at any given time in their lives. I’ve never done things by the book and although that can comes with dramatic edge-of-your-seat crescendos, it’s worked for me. Trust me, like everyone else, I’ve had to face my carefree mistakes in the mirror and choose to grow up, probably too many times to count. In a world where we are bombarded by what’s the next best thing, the next best career options, the next best everything, it can be though to listen to your own heart and decide to go the less beaten path. I guess the next best thing I can think of as an awesome achievement is leaving conventional employment to pursue a passion, a dream that is coming to life everyday at my humble astonishment. FanmNètalkole is just one of the ways that dream is coming to life and just a precursor of the amazing things to come. This is super broad, but if I had any advice for women, it would probably be the same advice I’d have for everyone which is to connect to your essence. Sit down, take a second, step out of the life matrix that animates our daily routines and ask yourself, am I happy here? Is there something else I would rather be doing? Is my heart fulfilled? And then take the answers to those questions into account in moving forward on your life path. Specifically for women, I could add that we need to continue banding together. In 2019, women are holding leadership positions in every sector you can imagine. Learning to support each other will establish women’s presence in positive initiatives and help inspire other women to blaze their own trails. That is exactly what FanmNètalkole is about and in our first year we were able to get over a dozen women-lead Haiti brands on board with us, for a whole month of activities by women for women and men! And trust me, we are just getting started. How do you leverage your influence to change the narrative on Haiti? When we talk about the Haiti narrative, we often think of efforts that we as Haitians need to be making to change external opinions about our country, about who we are as a people and what assets we can offer potential visitors, beyond this bad-wrap we keep getting in international media. However, in my opinion, some of the people who need to hear a different Haiti narrative most are none other than HAITIANS themselves. On my afternoon radio-talkshow, BibiNètalkole, my sole mission is to bring good news from Haiti to Haitians and to stir up meaningful dialogue towards that aim. Caught up in all of the internal bad press and third-world complications of our Haitian lives, I think we too often forget to pay attention to the good things that are happening in Haiti. I want to work on extending my platform to include even more positive and inclusive initiatives to help Haitians remember that we are not only our past and our future but also very much our present. The Good news is that our present is teeming with young professionals and passionate game changers, who’ve already changed that Haiti narrative in their heads and are integrating this into their professions as they work tirelessly to build a better Haiti today and everyday. When I mention Haitian game changers, I do so with special affection for Haitian diaspora rock stars who are looking at their country of origin with a twinkle in their eye and the 21st century skill sets that can make a lot of the difference we are craving. I’ll take this opportunity to let Haitians living outside of the country know that, when it comes to changing the Haiti narrative, my platform is at their service. At the end of the day, in a place like Haiti, it’s about building better communities, stronger markets, new industries, and most importantly, a context where Haitians from around the world are taken into account and celebrated for those assets each and every one of us brings to the Haiti table. Haiti is rapidly earning itself as a prime hot spot for entrepreneurial activity. With 11 million citizens and a global diaspora network of 30 million Haitian internationals- the influence of Haitian entrepreneurs and professionals on the global economy is spreading. Nominate someone here. About Haiti Tech Summit: Founded by Forbes 30 Under 30 Entrepreneur, Christine Souffrant Ntim, Haiti Tech Summit brings together thousands of entrepreneurs, investors, celebrities and creatives under one roof together to address humanity’s greatest challenges via tech and entrepreneurship. It is a part of a 13-year initiative to turn Haiti into an international tech hub by 2030. 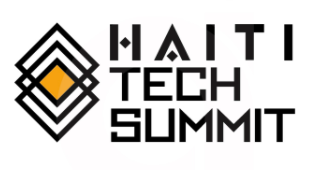 Deemed the “Davos of the Caribbean”, Haiti Tech Summit has welcomed keynote speakers such as Jack Dorsey-founder of Twitter, President of Haiti- Jovenel Moise, Ben Horowitz- Investor in Facebook, etc.